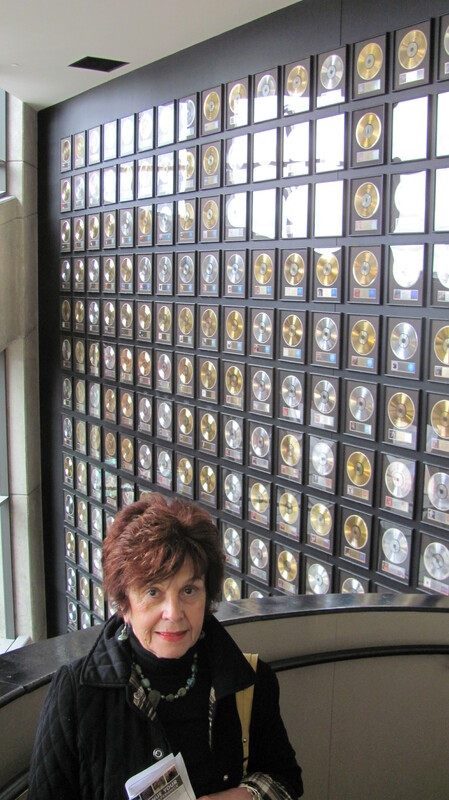 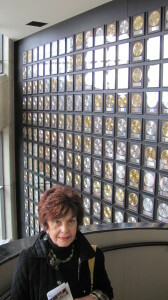 An entire wall and stairwell wall of this floor is lined with “gold records” donated to the museum for display. 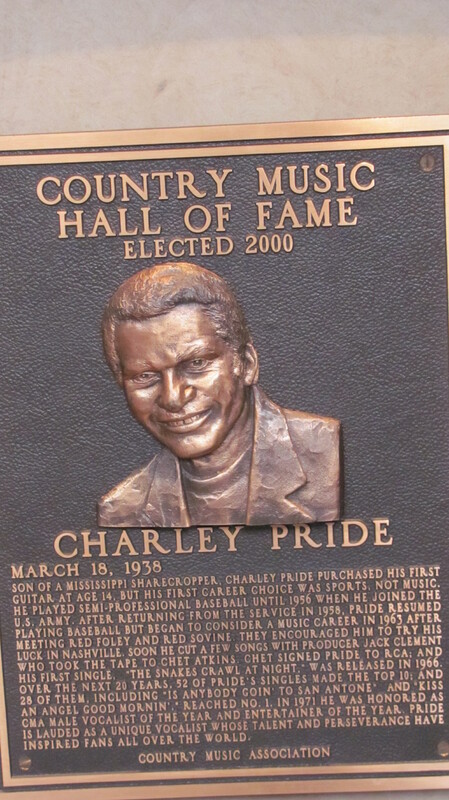 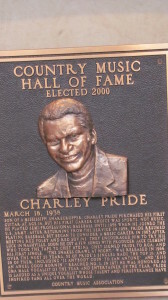 and Charlie Pride, who we are seeing tonight at the Grand Ole Opry show. 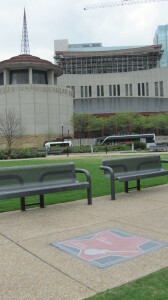 Across the street from the Museum is a park which features the Music City Walk of Fame — stars in the concrete honoring some of Nashville’s most outstanding musicians, including such names as Jimi Hendrix and Roy Orbison. 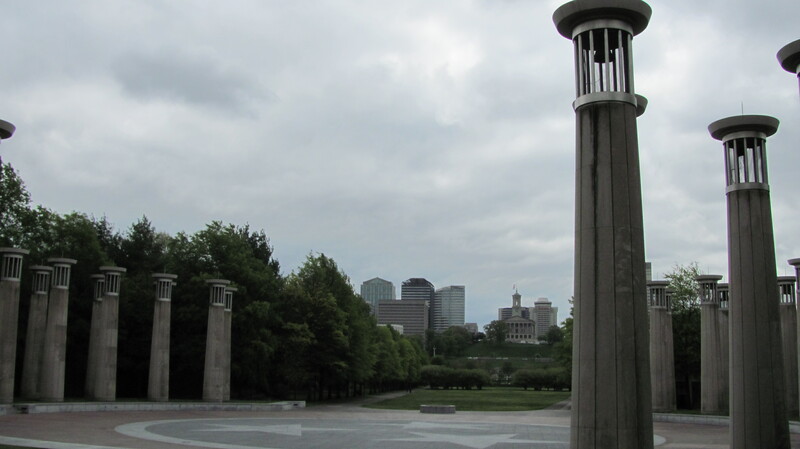 Next we headed for the Bicentennial Capitol Mall Park, which features a variety of interesting and unique exhibits. 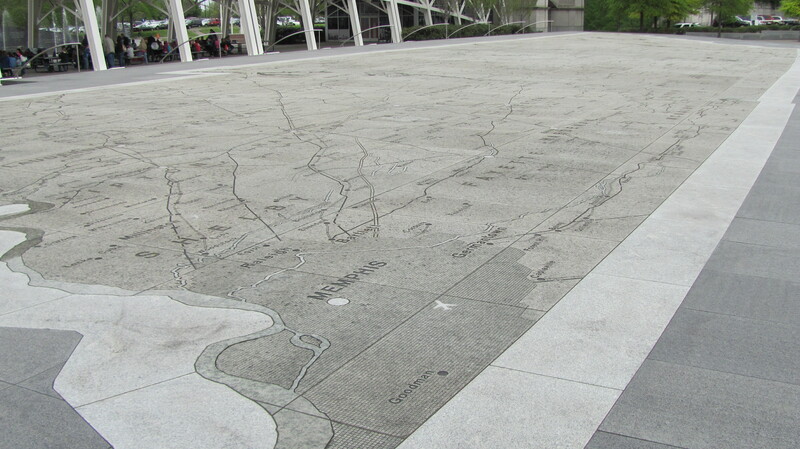 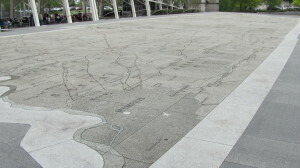 For instance, the park contains a large, granite map of Tennessee. 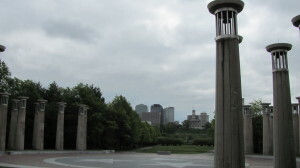 In addition, there is group of bells atop columns of cement which play music on the hour. 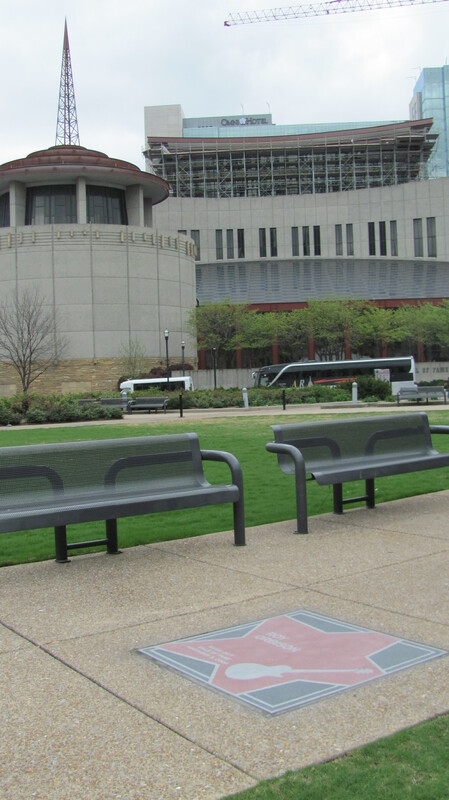 This spot also offers excellent views of the Tennessee State House. 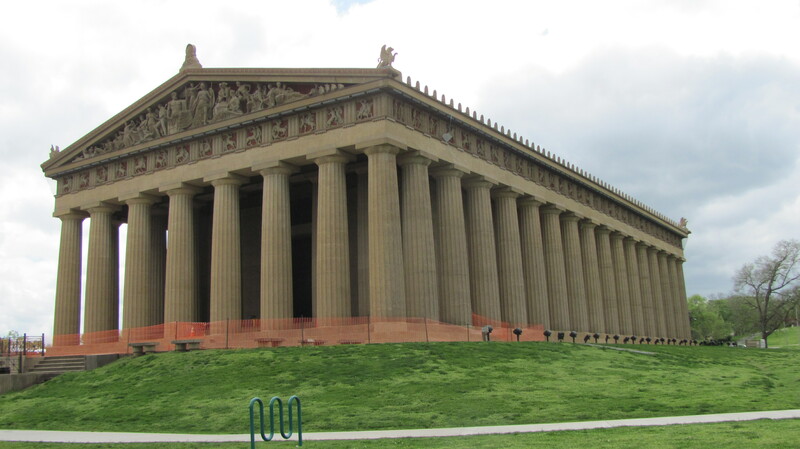 Our last sightseeing stop of the day was Centennial Park which features a full-scale replica of The Parthenon. 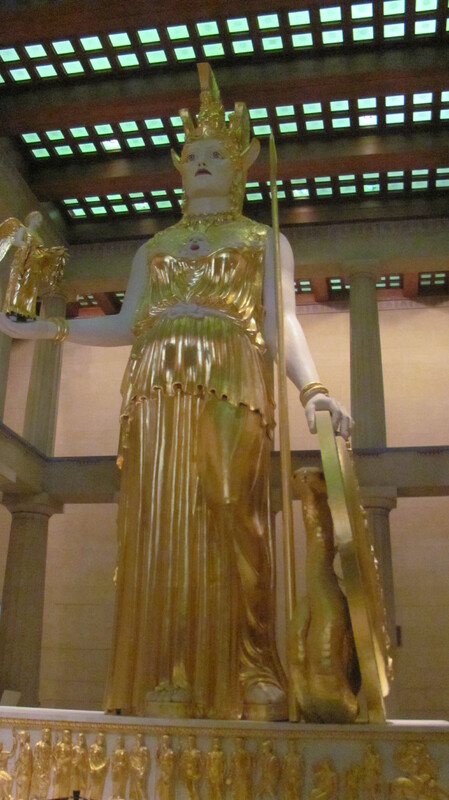 The building was erected for the state’s 100th anniversary in 1897 as part of a centennial exposition. Although the various buildings were designed to last for only six months, the city fathers decided to keep the Parthenon. 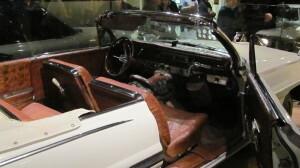 It was later rebuilt and restored to its current magnificence. 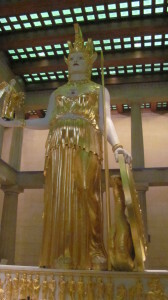 Inside the building is a 42-foot tall statue of Athena similar to the one erected by Phidias inside the original Parthenon. 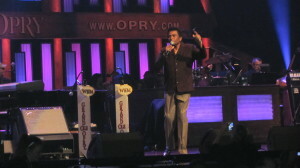 Fittingly, we ended our visit to Music City with attendance at the Grand Ole Opry live broadcast on Friday, April 19, 2013. What a fantastic show! 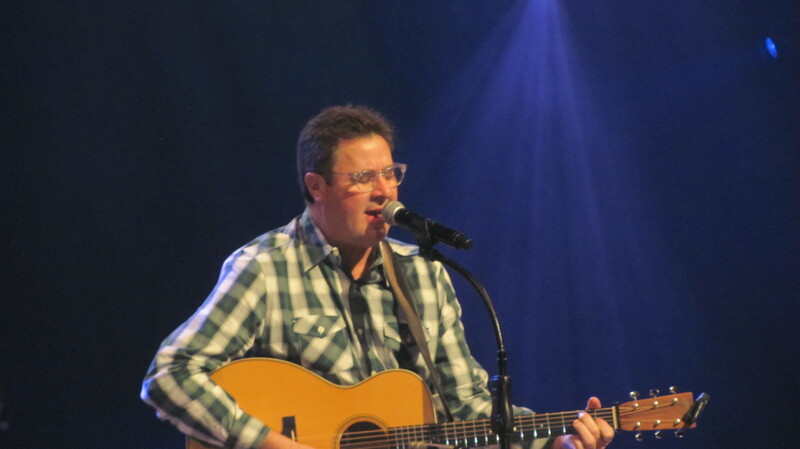 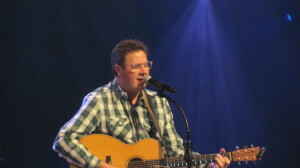 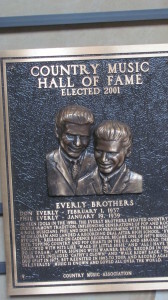 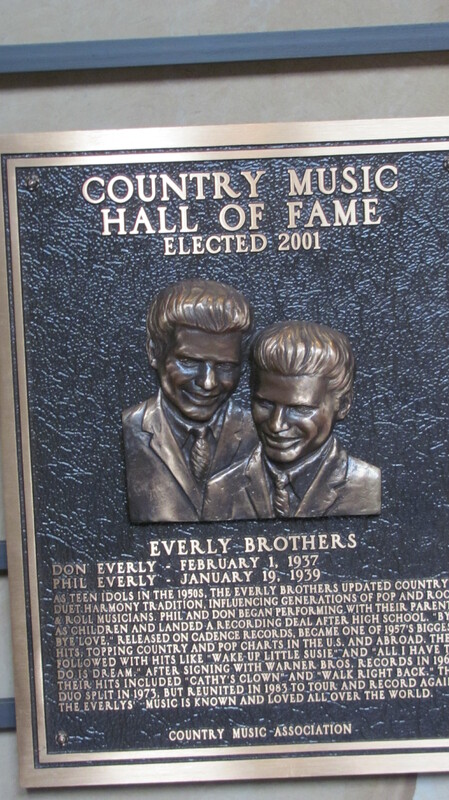 Highlights included seeing two (2) members of the Country Music Hall of Fame — Vince Gill who ended the evening with a hymn in tribute to the tragedy in Boston, MA. 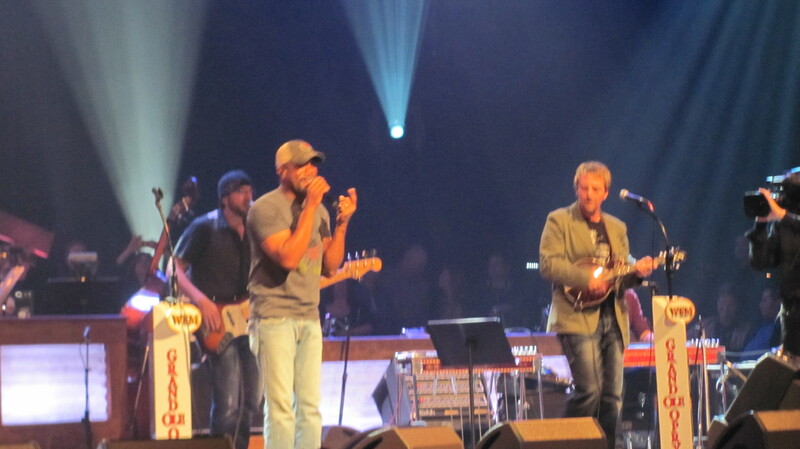 Our favorite segment was listening to Darius Rucker, who used to play with Hootie and the Blow-Fish.